What Is the Client Lifecycle for a Website Redesign? What is your client lifecycle? How does your website fit into your business model? When should you start to see results? 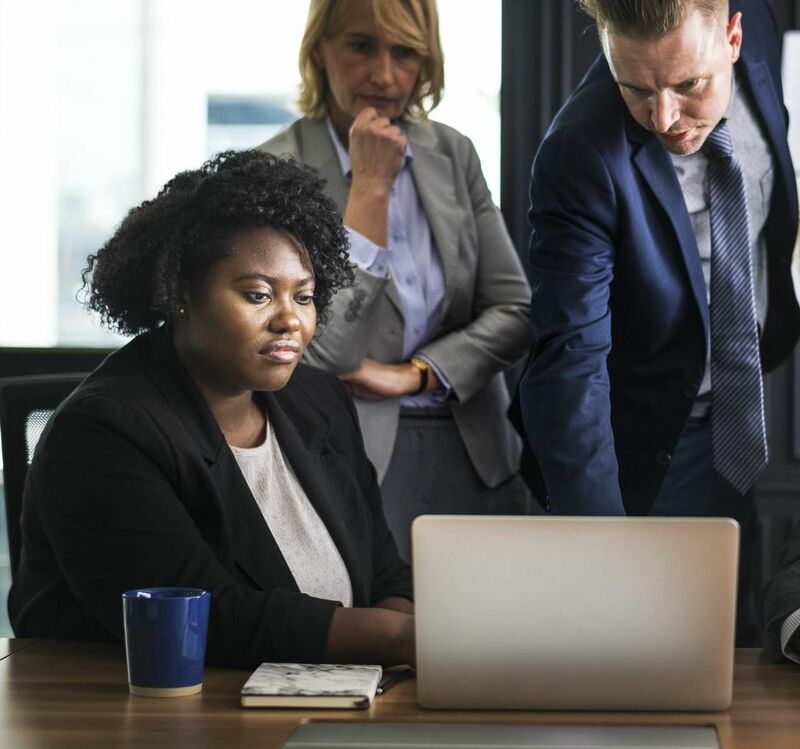 You need answers to these questions so that you have realistic expectations for your website redesign and you get a maximum return on your investment. What is the Client Lifecycle? As the owner of Effect, I want to make sure we have clear communication between our company and yours. Our goal is to build a long-term relationship, so we take steps to ensure that your web design delivers the maximum return on your investment. We illustrate our client lifecycle with a tree. The “roots” are the discovery questions that pinpoint how the website will contribute to your organization. We ask questions such as, “What is the desired outcome? Who is the target audience? What is the end goal?” Before our tree can begin growing, we must pinpoint our objective and develop our strategy for reaching that objective. This extends beyond the website and tells us how we’re going to measure improvement. Before you can begin marketing to customers, you must determine what makes you unique. We are moving beyond the initial discovery questions, so this is the trunk in our diagram. We help you ask questions such as, “Why should a customer choose me over another company? What sets me apart?” This provides the ability to articulate clearly and effectively to a customer why you are the best fit for them. Now that we have our roots and our trunk, our branches are free to grow. This is where we begin designing and building your website. We ask more questions: “What does the customer want to know? What is most important to them? In what order do we present material?” We build content and information into your site based on the needs of your customer. This aids us in the final step. Customer attraction is the leaves of our tree. This is the key point of the client lifecycle where, now that we have our marketing plan and content, we get it out to people. After all, if you have a beautiful website, perfectly tailored to your clients, yet no one ever sees it, what is the point? 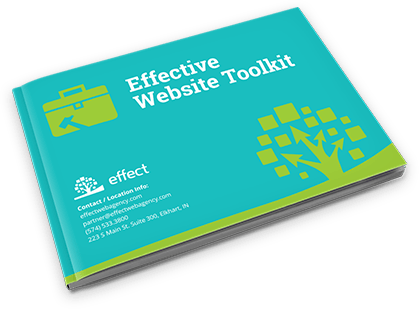 The role of Effect is to develop the reach of your website. We make it Google-friendly, monitor customer traffic, and pinpoint areas that might be causing a holdup in traffic. As a tree grows, so does your web marketing plan. Carefully tended, you should see strong growth and lots of fruit. 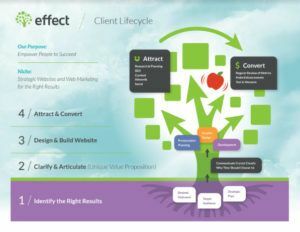 We summarize our niche with these words: “Strategic websites and web marketing for the right results.” Our goal at Effect Web Agency is to empower others to succeed. Take a look at our Website Toolkit for further information on how you can build a profitable site.